Congratulations! I hope you enjoy your longed for light! Please send me a mail with your contact details so that Houseology can send you your voucher. Thank you to everyone who entered and Houseology for this fab give-away! I've still got my eye on these items from the online shop! 1. Yeh wall table and GM pendant both by Menu. 2. Dinnerware by Bloomingville. 3. Murmur Still Grey bed linen and Murmur towels. 4. Amp light by Normann Copenhagen. ...And maybe one of these cosy blankets too! You must be age of majority in your country of residence. We are not responsible for any duties, import taxes that you may incur. Only 1 entry per person. This prize is non-transferable and cannot be exchanged for monetary value; No cash alternatives to the stated prize will be offered; Valid until 30th September 2017. Beautiful things they have! I would choose some light for our new kids room. 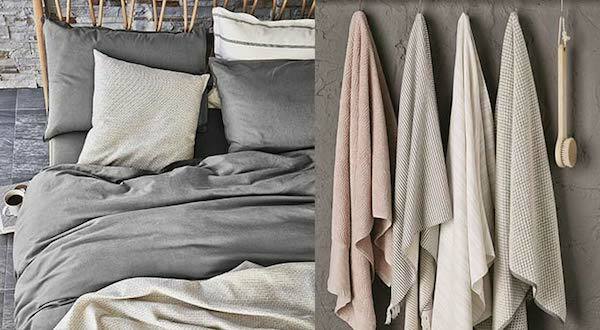 As winter is coming I would love to snuggle up in layers of throws - the Elvang Basket throw & the Gingerlily Silk throw would make create some serious hygge :) Just over budget. Lexington Urban Wool Throw (white/grey)and with Tom Dixon Scent Elements Scented Candle EARTH. I would go for the Authentic Models Half Mile Ray Searchlight - then I'd chip in the other half and be able to give my living room a whole new level of cool! Since I just moved in to my first apartment by myself(!!!) I can't wait til it looks just the way I like it. After all im a poor student but i have a vision! My absoult prioritet is to buy a new sofa and where else could i find the perfect one!? https://www.houseology.com/house-by-houseology-sculpt-sofa would be my choice and no one would be happier than me. It'd boost making my long-term wish come true: the Muuto's Cover Chair. Just could need some recommendation on color – red, green, oak, grey, black. They're all so beautiful. The leftovers would go on the Riviera Maison Lucca 3 piece cutlery set. After moving out of a shared house into my own place, my mismatched cutlery and constant hunting for an illusive fork needs to come to an end! I would love these bar chairs for our new kitchen in our new home!! Oh my I've fallen hard for the Baolgi Rattan Laundry Basket. What a beauty. Whatever is left should be used to ship the whole package expressed (preferably via DHL) to Madagascar where I live! And yes, yes...so far I am the only male on the participants' list! I am reorganizing my home office and these items would bring a design zest to my otherwise African setting! We just moved to a new house, so I would purchase some much needed accessories for our house: Wireworks Freestanding Roll Holder, Lene Bjerre Adla Tray - Large, and Garden Trading Malmesbury Planters Vintage Galvanised Set of 3. It's so hard to pick! There's so many beautiful things to choose from. I'd start with a wool throw, and the murmur tea pot. That would keep me cozy over the cold Canadian winter!! I have been decorating my tiny nest for a year now and although it's coming together, I'm really behind with rugs and lighting, so that's what I would get if honored with the win. I've been looking for a table to put in the littlest kitchen space I have, and this one would be *perfect*. I think I would put it towards a Calvin Klein gradient rug. I can't decide which one exactly; they are all very beautiful. Im in love with the Lene Bjerre Marble & Mango Wood Chopping Board! anca_bvro@yahoo.com ; ops, forgot that! I would like to buy the Gingerlily Silk Bed Linen Charcoal and the Gubi Grossman Gräshoppa Floor Lamp. I am in the process of decorating my new place, it's taken a lot of scrolls through inspiration posts to find out what I actually want it to look like. I have pretty much done everything I needed to make it as good as it can get, but it's still not finished yet, and it still needs that final touch. When I went on Houseology's website I was in awe, there are so many beautiful things there! But there are few, that completely stole my heart, and these are two cushions: Murmur Dune Denim Cushion and Riviera Maison Classic Cable Knit Cushion; an amazing hanging lamp (still need to buy one, so that's like a gift from heaven, it's so pretty! ): Riviera Maison Meatpacking District Hanging Lamp; two mugs: Bluebellgray Abstract Mug and Gordon Ramsay Bread Street Mug Slate; and last but not least: Baolgi Rectangular Tissue Box - White Rattan (useful things still should look pretty, right :D) and Nkuku Artisan Dinner Plate. Love them all so much. I am currently looking for a perfect coffee/side table and there's one I fell in love with. It's Menu cage coffee table. Simply love it. I would love either the Heathfield & Co Ritz Table Lamp Antique Green or the Laguiole Cutlery Set Of 24 - Ivory White for our Copenhagen apartment! I'm in the process of adding more art to my home and giving it some needed personality. I like the The Winter Tree Collection By Alan Blaustein. I can also imagine cuddling up in the Riviera Maison Harrison Cable Knit Throw. Such a difficult decision... I would choose the children's play kitchen for my granddaughter and the solar table light as dining al fresco is one of our favorite things. My husband and I have just moved countries and so too homes. As a treat we just brought ourselves a new bed and would so love to deck it out in your Lexington Chambray Duvet Set in Flannel grey!!! Love Flannel duvets!!!! I would buy LUXURY BEDDING SET to make more romantic in our bedroom! I would love the Houseology Collection Set of 2 Check Storage Trunks for £199. Down to the last penny!!! I love the look of these and I adore storage and these would keep things nice and tidy and also offer a coffee table top or occasional seating. So love them. The website is amazing - I could spend £200 over and over and over. We're about to move into a new apartment and were looking for a proper mirror to put in the living room - and Skagerak Georg Mirror looks super cool - would definitely look good with our white walls and oaky floors! It is a great website that is for English Novels. Thanks for your great effort. Brilliant website, so many good articles. Would love to fill my new home with everything from your site! Starting with the the Addinterior LILI Coffee Table If I was fortunate enough to win! What an amazing shop! I would buy Muuto lamps, because dark days are coming. I would put the voucher towards one of their white rugs, because it will suit our room. 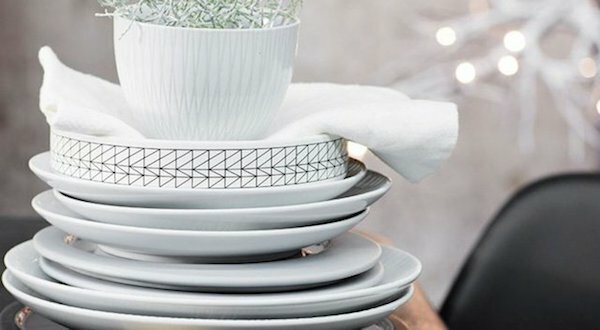 Houseology has so many fantastic pieces that would look gorgeous in our new home. We are completely renovating our first home (from top to bottom!) It's a 1930s semi-detached in York, England. I have found inspiration from your website and Houseology, putting together mood boards and lists of key pieces we want to get to bring together Scandinavian chic and minimalism whilst retaining key period features (such as our brick fireplaces, bannisters etc). I would also purchase 2 x of the Muuto E27 pendant lamps in light grey to hang either side of our bed - a lot of the design photos I have seen have these and they look cool and chic. These are a fantastic price at £52 each. Lovely to browse Houseology thinking of a £200 voucher, what a pleasure, thank you. I got stuck in the rug dept and would probably choose the pure wool Plantation Oceans Rug. Hi! Is not easy! Many beautiful items! But if I must to choose, maybe I pick a cover and pillowcases from OH-Hotel 250 Satin Stripe Bed Linen : a delicate and simple design for my bedroom. Anything on Houseology looks marvelous! Fingers crossed and thanks for the opportunity. This must be the hardest choice, so many beautiful things! But I guess a nice floorlamp would be nice, like the PR Home Cross Floor Lamp. And wouldn't mind getting some Iittala glassware too. I like the Murmur Mist Throw. It's so pretty and perfect for the cooler temperatures. I love the Elvang Manhattan Throw Natural. I'm a sucker for big plaid prints, especially for fall. The neutral tones in this throw will work for any decor! So many gorgeous things on the website! I'd love the Notre Monde Black Marrakech Driftwood Tray, or a set of Nkuku Artisan Dinner Plates. And, though it's way more than £200, but & Tradition In Between Table SK4 is a beauty. Oooh, how exciting! I would buy the Muuto up lamp, as it looks like the perfect thing to give me some hygge style lighting (plus some candles, OBVIOUSLY). At the moment, I am stuck with an awful 80s light fixture/monstrosity on my sitting room ceiling which is only slightly less bad than a fluorescent strip light. It makes me feel like I am being interrogated whilst I try to snuggle on my sofa with a book. Not v hygge. But my new lamp would be! Fingers crossed! Wow!! I would definitely LOVE the Kartell FL/Y Lamp in petrol blue. It´s beautiful! I was looking for something modern but as the same time a classic piece.... it has everything I need. Finger crossed! Incredible selection on the Houseology site! This is my first time entering one of your giveaways! I never do because I live in Canada and it seems like such a long way away... But, I came across the PR Home City Hanging Lamp - Soft White and it is perfect for our dining room! Right now we have paper shades from Ikea, which work just fine, but I've been looking for an affordable dome pendant lamp so that we just light up the table instead of the whole room. That's what I would go with from Houseology! It would not take me long to spend the voucher - I think I would blew it on Elitis Memoires Panthere Wallpaper - I absolutely love it! Wallpapers are my current obsession and the panther would go into my bedroom (maybe it would give me exotic dreams). Gorgeous site, I would pick what I actually need right now, are new wine glasses and some pillows. Thanks for the opportunity. Oooh I love Houseology! So many wonderful products to choose from, but I'd have to go for a collection of Muuto's 'The Dots' coat hooks - a modern design classic! Normann Copenhagen Acrobat Table Lamp. I think I would get myself a new office chair like the Houseology Collection Leather Swivel Office Chair Black, because my current one has already seen its best days! As the evenings are getting colder I'd definitely buy myself a woollen throw, and with the spare money perhaps a lamp for the dining table. I would probably buy Normann Copenhagen's Block Table. Thanks for the giveaway. I´d put the voucher for the angle poise original 1227 brass wall mounted lamp. i simply find it gorgeous. Just the other day, I was trying to remember the name of a lamp that I fell for many years ago, but I just couldn't bring it you mind. Fast forward to today, when I go for a browse on Houseology, and head straight to the lighting section - lamp buying is an actual addiction, right? - and there it was, the lamp I've dreamt about for years, the Kartell Bourgie. If I was to win, that's what is spend my voucher on, a Bourgie in black. Heaven! I would go for the Normann Copenhagen's amp light(s). 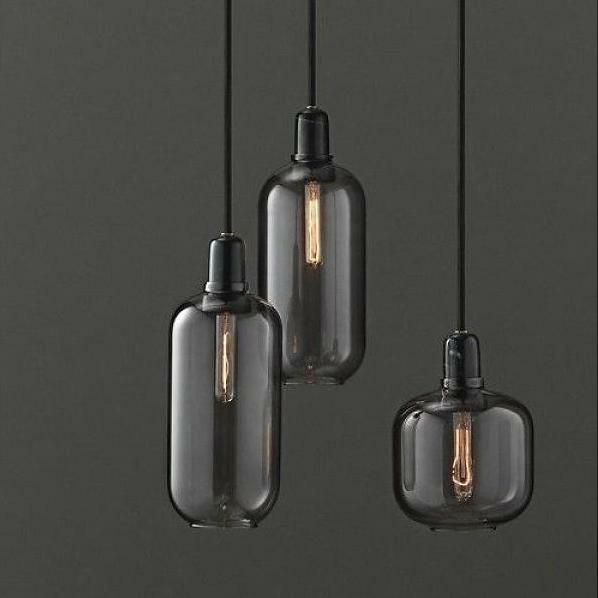 I've been looking for stylish pendants to our Victorian terrace hallway and these would look contemporary enough to compliment the old house. The Ethel lampshade by One Foot Taller is obviously meant for my high ceilings! I would love a new rug and I want to be in on current trend for geometric . This Plantation Rug Company selection would be a great key piece to start a new room decor. I would get a Normann Copenhagen Tablo Table Large - a coffee table for our new home we will be moving into in a couple of weeks. I would love one of the minimal sculptural lights of Michael Anastassiades by Flos: they're simply beautiful! I am slightly obsessed with chairs, and even though we already have an unreasonable number in our home, I'd love to put it towards a Eichholtz Trapezium Chair. Just beautiful and would look perfect in the bedroom! So many beautiful things to choose from, but I can't get over the print on this Timorous Beasties White Moth Cushion: https://www.houseology.com/timorous-beasties-white-moth-cushion. I'm also a big fan of this pendant lamp: https://www.houseology.com/lene-bjerre-nadia-pendant-light-blue. Wow! Since I am living without a proper light for a while, I would definitely go for the Moooi Random Light Black as I am dreaming about it for a while now. I would go for some fun accessories for our little boy room. My typical-apartment-ceiling-light has been a feature I've been wanting to upgrade for so long! I would definitely go for the One Step Up Bookcase, because I've been needing more space for my books and ceramics collection. I've been working on my own pottery pieces, and this bookcase is just neutral and warm enough to show off my collection! Thanks for the giveaway! I think I would get a few things from Normann Copenhagen, most notably their whisky glasses. We drink whisky out of wine glasses and sometimes coffee mugs (classy?!) so having proper whisky glasses would be great! What a great giveaway! I would go for the mega bulb pendand from &tradition, and maybe some of those Murmur towels! All so Gorgeous! I think I'd use the voucher on The original BCT Hector bone china medium pleat wall light, the Garden Trading fire fork & poker and also the Garden Trading Farringdon Luggage Rack. What a hard decision though!!! I can't believe I missed this... Thanks for the giveaway, anyway! If I were lucky enough to be selected I'd consider the Murmur Wave throw and Phipps cushion, both of which have delicious texture... but this site is marvelously curated, it would certainly be difficult to choose! hard choice, but I think I'd buy this chair https://www.houseology.com/menu-wm-string-dining-chair! I would like an historical piace of design as the DSR Chair by Charles & Ray Eames, produced by Vitra! I've long hoped to own a black Louis Poulsen AJ floor lamp but it's a little out of my budget. A £200 voucher would make it accessible! Too many lovely things to chose from and I have already spent the voucher in my mind many times over! But I would probably buy Design House Stockholm Bjork rug and Muuto Unfold pendant lamp. Or I would put it towards Normann Copenhagen Tablo Tabale, or Normann Copenhagen Kabino sideboard. I'd buy a selection of copper lighting, pastel throws and monochrome cushions to get that Danish feel in a new British box if house that we can yet afford! A little hygge for those dark winter nights. I would buy two Normann Copenhaguen Amp large in grey.